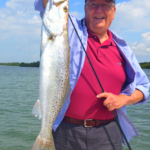 Southwest Florida offers many different varieties of fishing depending on the time of year. 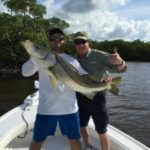 As a local Naples Fishing Charter, it’s known at certain times we have great tarpon fishing, snook and redfish in the backcountry, grouper and snapper offshore, and a large variety of different pelagic species that inhabit the gulf. Since Southwest Florida is located in a subtropical environment, water temperature plays a huge role in the quarry that we target. 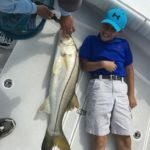 The Snook fishing in Naples is best from mid-spring until early winter for instance, they bite live pilchards quite well during this time. 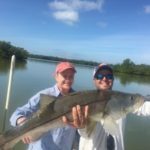 Snook are found along mangroves, passes and beaches. 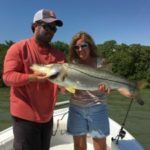 The redfish bite is best in the late fall, winter, and early spring. 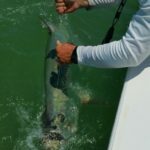 Tarpon also bite on certain water temperatures. 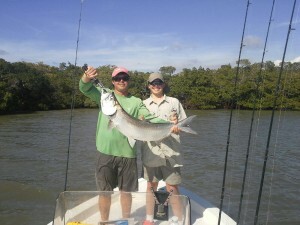 Naples tarpon fishing is best during periods of warmer water with the late spring, summer and early fall. 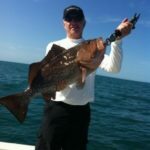 The nearshore reef fishing off Naples can be super productive in the winter. As the water temperature cools gag grouper move to the closest reefs and wrecks. 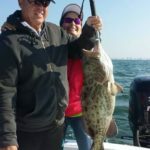 Naples grouper fishing is best done with live baits but another effective way to catch grouper in the winter is to troll. 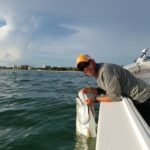 Trolling allows you to cover lots of water and helps to land more fish due to the ability to pull them away from structure with the boat. Mangrove Snappers are available year round they offer a great bite in the winter feeding mostly on shrimp and peeking around the week before the full moon. 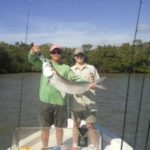 In the spring and summer our Naples fishing charters target mangrove snapper by chumming and flat lining for them or fishing small live fish on the bottom. 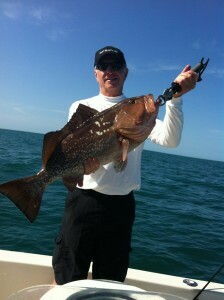 The offshore fishing is the best way to catch fish for dinner. 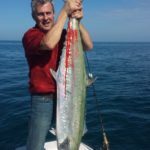 Two other seasonal fish to catch are the kingfish and triple tail. Both of these fish seem to be really turn on from October through December. 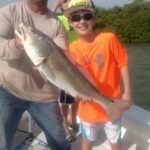 Naples Kingfishing is done around natural reefs around and artificial wrecks off the coast. They take mostly live baits but trolling spoons and plugs can also prove effective. 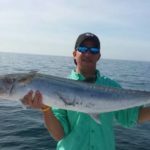 Kingfish range from 10 to 40 pounds off the coast of Naples. 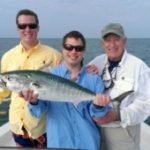 If you’re looking for a fishing charter with some great action, kingfish chumming to the surface is hard to beat. Triple tail are probably some of the easiest fish to catch. Cruising the beaches and looking at the Stone Crab Trap buoys that attract the tripletail is the preferred method. A live shrimp under a float, close to the buoy is seldom turned down. Fighting hard and tasting great they provide a unique angling experience. Give me a call any time of year and I’ll keep you up-to-date. Or check in on my website FaceBook page or Google page. Fishing in Naples has a lot to offer so don’t miss your chance for an awesome Naples fishing charter experience.